Play for P.I.N.K. Kapalua is sure to be a weekend to remember. 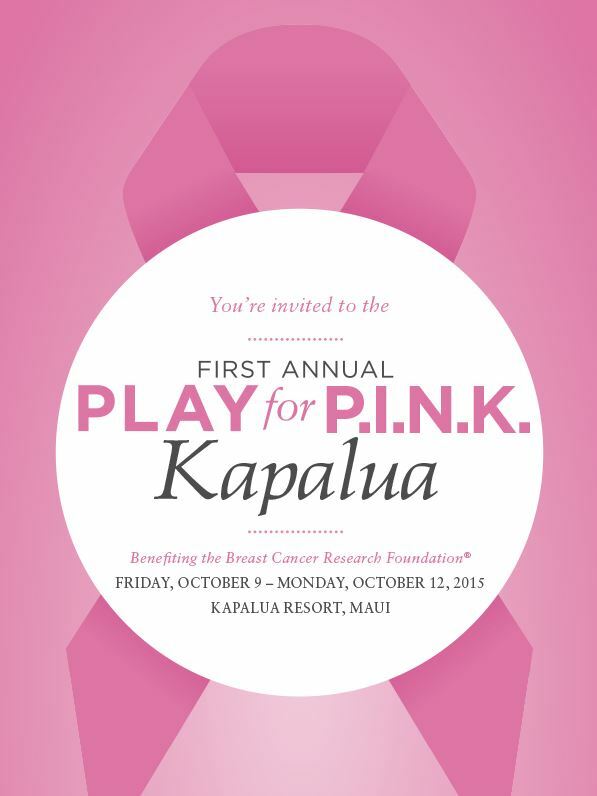 Join us by registering online at: www.playforpink.org/kapalua . Donations can also be made through the website. Additionally, Play for P.I.N.K. Kapalua has teamed up with Elite Travel International to offer nearly 70 exclusive travel packages for auction - LIVE NOW! - to benefit BCRF. With something for everyone's budget and interests, you do not want to miss out on these amazing travel opportunities. The auction closes on September 30, so place your bids now at: www.charitybuzz.com/support/3311.